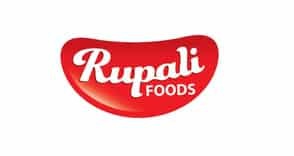 Global SNI provided Sophos End-point security solution to Rupali Foods. The features associated with Sophos Endpoint Security and Control can easily replace many of the individual security products that work towards endpoint protection. In addition to antivirus, it delivers anti-spyware/adware, host intrusion prevention, fire-walling, application control, device control, and network access control. Sophos has long been a leader in the anti malware scope because they have superior scanning engines and a research division that stays up-to-date with the latest threats looming worldwide. With the added functionalities of firewall, NAC, HIPS, and device control, all centrally managed, Sophos has set a new bar for endpoint security. Some of the benefit’s for equipping Sophos End-Point-Security are given below.